Grilled cheese is up there with raindrops on roses when it comes to our favorite things. These Cheesy Cracker Melts definitely make the list! 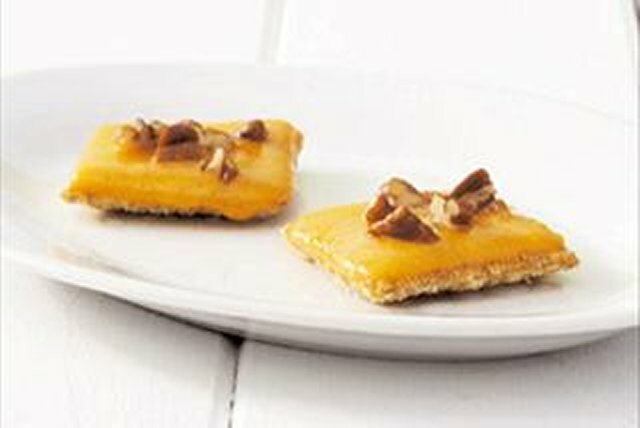 Top crackers with cheese and pecans. Microwave on HIGH 10 sec. Prepare as directed, using 2 tsp. KRAFT Shredded Mozzarella Cheese and substituting CLASSICO Basil Pesto Pasta Sauce for the pecans. Prepare as directed, using KRAFT Colby & Monterey Jack Cheese, and substituting 2 tsp. OSCAR MAYER Real Bacon Bits for the pecans.